With music, drama, dance, and theater playing a huge part in the culture of the city, Poughkeepsie makes a perfect place to spend a family vacation. The Bardavon 1869 Opera House and the Hudson Valley Philharmonic make this city a classical music lover’s dream. Of course, suffering from a terrible toothache makes a visit to any city a painful experience. Poughkeepsie offers you access to a large selection of dental specialists who are always standing by to treat your painful dental emergency. 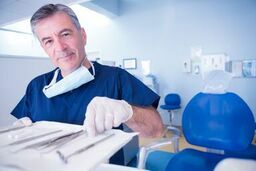 Emergencydentistsusa.com makes it simple to choose a great Poughkeepsie emergency dentist as soon as you notice a dental problem. Our website contains a comprehensive list of dentists, emergency dental clinics, and dental specialists in the area, giving you plenty of choices for your dental emergency. Simply scroll through our selection of Poughkeepsie dentists and choose the one that you wish to visit. Select a dentist with office hours that suit your needs or a location that is convenient to your home or hotel. If you need a little more help when it comes to selecting a dental specialist, you can also use our 24-hour dental hotline which is completely free. This services connects you directly to a friendly Emergency Dentists USA team member who is trained to help you search for nearby dental offices and select the best dentist for your particular dental emergency. Our operators can even schedule your first appointment. Remember to arrive at your new dental office at least 20 minutes prior to the appointment and to bring your dental insurance card, your photo identification card, and any copayment that you might be required to pay. As a visitor to Poughkeepsie, NY, choosing a great emergency dentist or dental specialist might seem like a daunting task. Luckily, this city has a variety of competent and caring pediatric dentists, dental surgeons, cosmetic dentists, and general dentists who are available to treat almost any dental emergency. From dental clinics that offer after hour appointments to emergency dental clinics that are open 24-hours a day, Poughkeepsie is the perfect place for your dental emergency treatment. Description: Dr. Hamburg at Hudson Valley Dental Arts has worked for over 20 years to create a dental practice with kindness and quality care. Acquiring hundreds of hours of continuing education and lecturing to thousands of dentists makes Dr. Hamburg an expert in his field. Services offered include routine dental care like cleanings and fillings along with restorative dental services. Description: With a large number of well-trained dentists standing by to treat your dental emergency, Family Smiles of Hudson Valley is a great choice for any dental emergency. Offering comprehensive examinations, cosmetic dentistry, and even pediatric dentistry, this dental clinic provides quality care regardless of your dental problem. Description: From cosmetic restorations to full mouth and body connections, Dr. Whalen provides dental care that encompasses your unique health situation. Starting with comprehensive examinations and offering general, cosmetic, and restorative dentistry, the Dental Design Studio is a full-service dental clinic with a kind and competent staff standing by to treat your dental emergency. Tooth pain can definitely be an issue that makes your visit to Poughkeepsie very uncomfortable. Luckily, tooth pain is generally an early sign of a dental problem that can be treated at an excellent Poughkeepsie emergency dental clinic. Seek emergency care by calling 911 or visiting the nearest hospital emergency room if your tooth pain becomes intense, lasts more than a few hours, or is due to an accident or injury that could cause more dangerous problems. Before choosing your new Poughkeepsie dental clinic, take a moment to visit the New York Dental Association’s website. Here you can find current information on each New York dentist’s license and credentials, and you can ensure that both are active and up-to-date.